People's Key may have received a lukewarm response, but that obviously isn't going to stop Conor Oberst from taking his Bright Eyes out on the town. 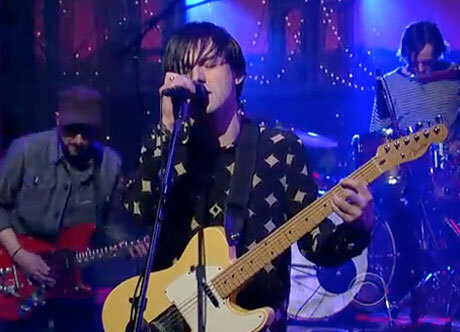 Last night (February 24), that involved a stop on the Late Show with David Letterman, where the band played the new album cut "Jejune Stars." You can watch the performance down below and gear up for a North American tour, which kicks off next week. As for People's Key, that's out now on Saddle Creek. Thanks to Audio Perv for the hook-up on the vid.